Welcome back to the design studio tutorial. If you have directly landed on this page, please check out Part-1 before proceeding further. 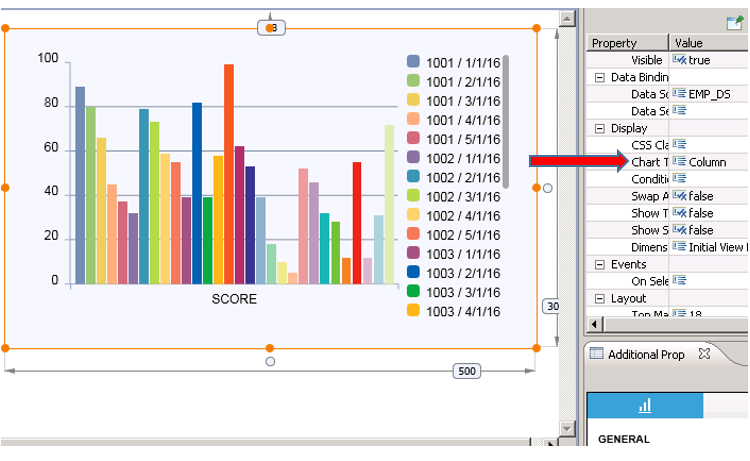 To switch the chart type, click on your chart. This would bring up a properties pane on the right. 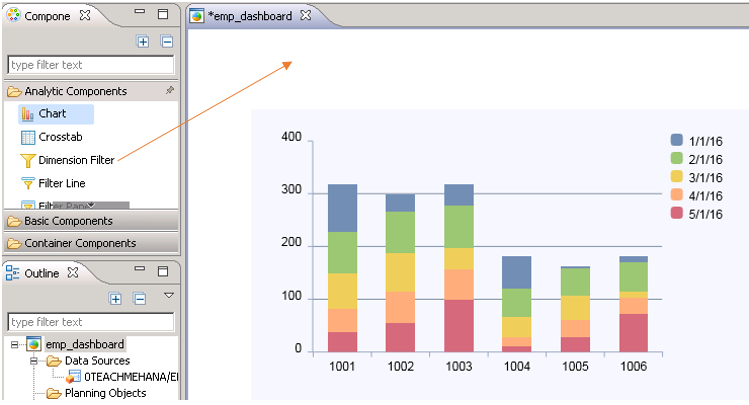 There, you would find a Chart type property set to “Column” by default. Drop it down to change it. 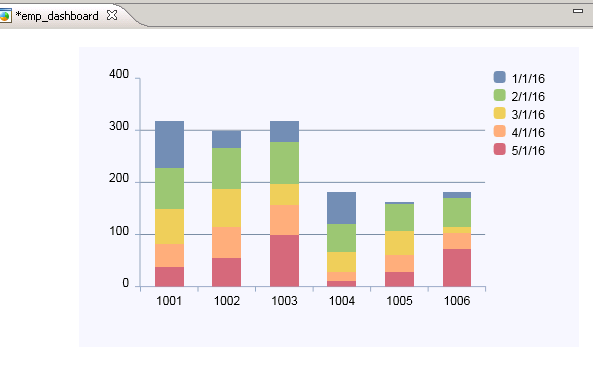 You would see a lot of different chart types available in the drop down. Let’s pick up Column – Stacked. Now, the same report stacks upon itself as seen in the representation below. 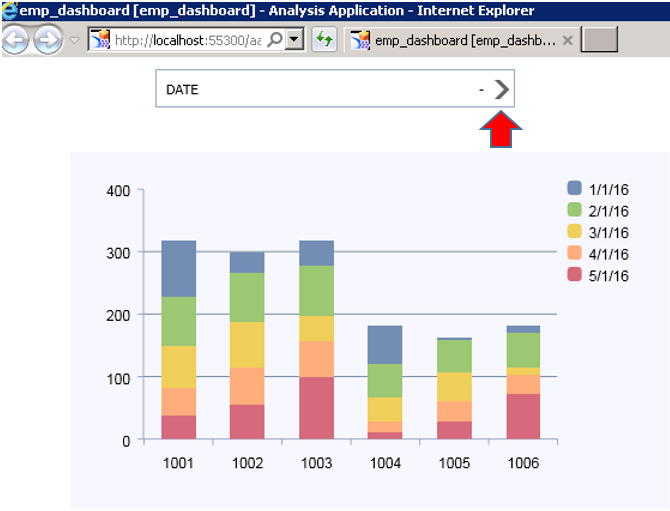 Let’s change the initial view once again by clicking on the Edit Initial View option in Data Sources. 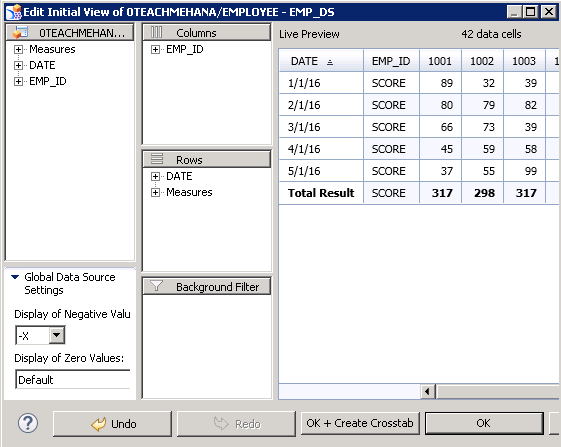 In the initial view, let’s switch EMP_ID to columns and SCORE inside the measures to rows. The Live preview structure denotes the change as well. The chart now looks like the below. This offers much more clarity into the information than the initial configurations. 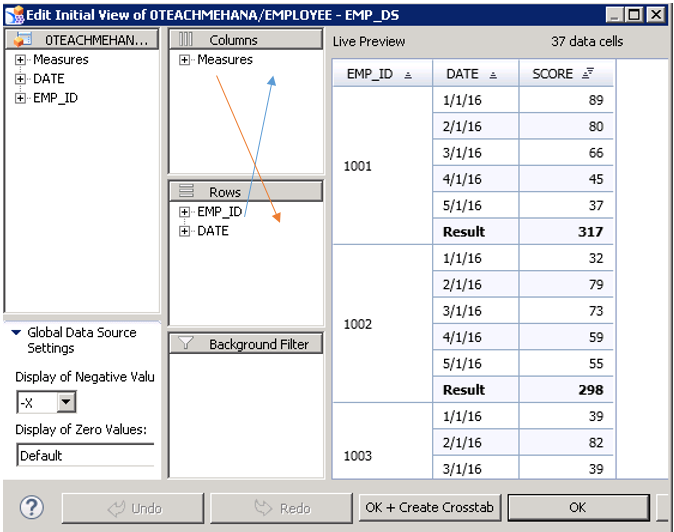 There is no rule as to what goes in the rows and what in the columns. The decision on the correct Chart type is really important to portray the information meaningfully. Sometimes it takes a lot of hit and trial to decide upon a correct combination unless the client specifically tells you what he/she is looking for. 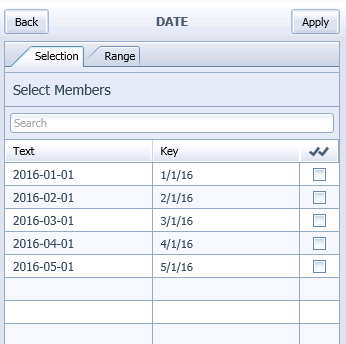 Now, let’s provide the user a button to filter the report by date. To do this, we need a Dimension filter component first. Pull one to the area where you wish to place it. The filter appears on the area I place it and asks for a dimension to be assigned to it. Click on the dimension filter. 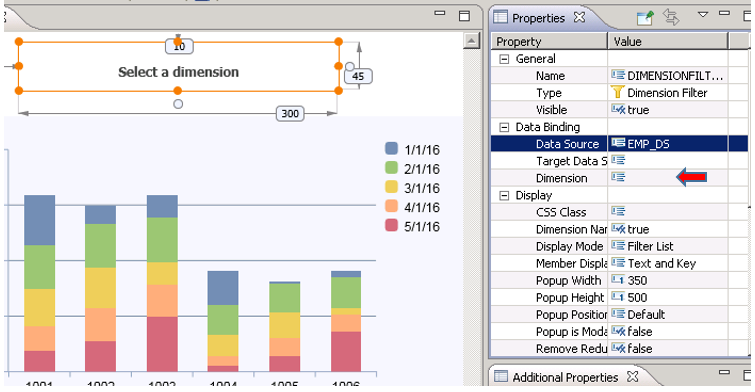 A properties pane will appear on the right. 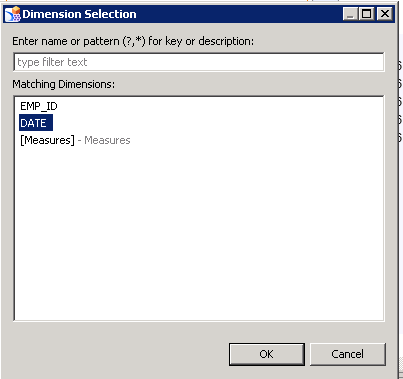 The data source is currently defined as <none>. Drop it down to change it. It shows you the list of available data sources. We only have one – EMP_DS. Select it. As seen below, the data source has been assigned. Next step is to choose the field from this data source which would appear as a filter here. Click on the Dimension field to achieve this. 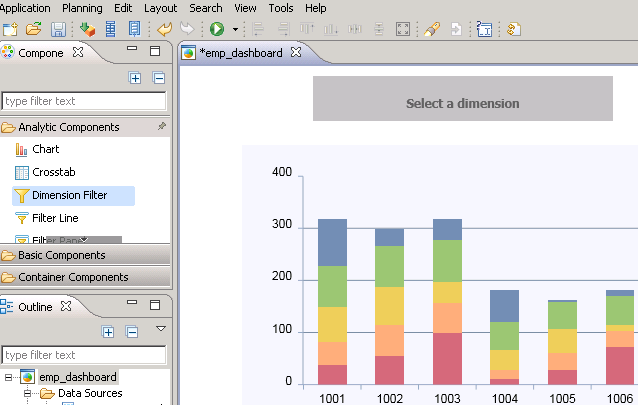 Press on the … browse button to view the available dimensions in this data source. The list appears as shown below. 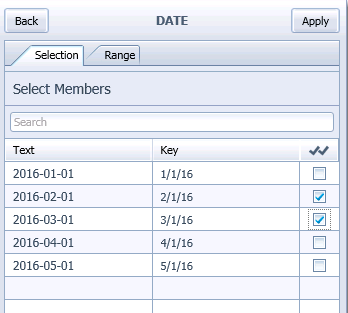 Since we need DATE for filtering, select DATE and press OK.
As seen below, the filter now appears as date. 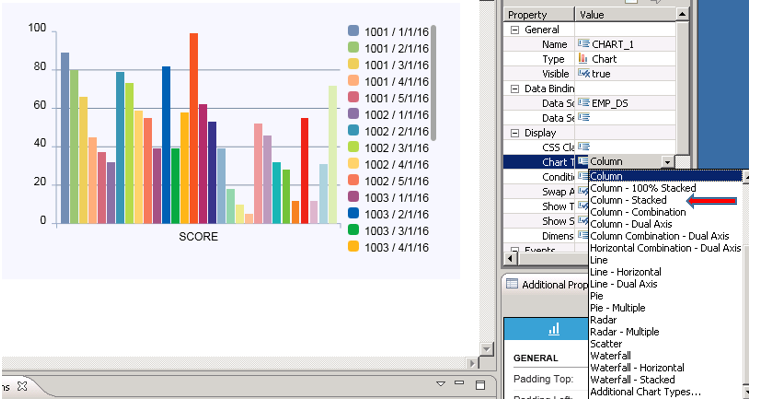 Our basic report development is now complete. 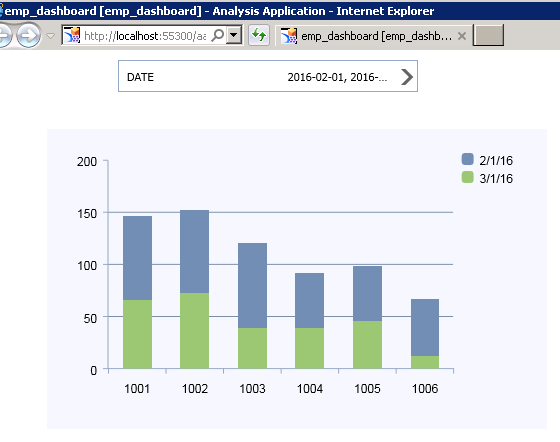 Click on the green execute button to run the report in a web browser. This is really important for testing the report. The browser opens the report. Let’s check our filter. The pop up comes up asking us to select the dates from this available list of values. 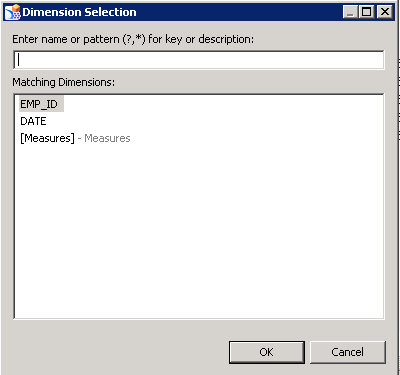 I select 2 checkboxes as shown below. As expected, the report filters down to these dates only. 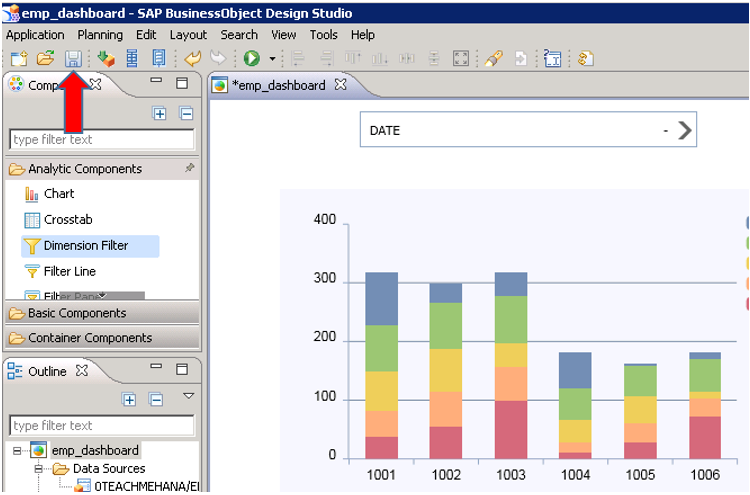 All that is left is to save this report to a business objects repository where your client can always access it live. 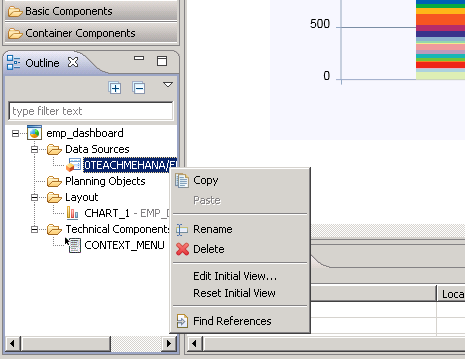 Close the browser, come back to the design studio tool and ise the save button to save this dashboard. `These reports can be accessed by desktops and can be published for mobile devices as well and is perfect for viewing an overall picture of your business. As always.. please share 1 tutorial on social media and show your support. 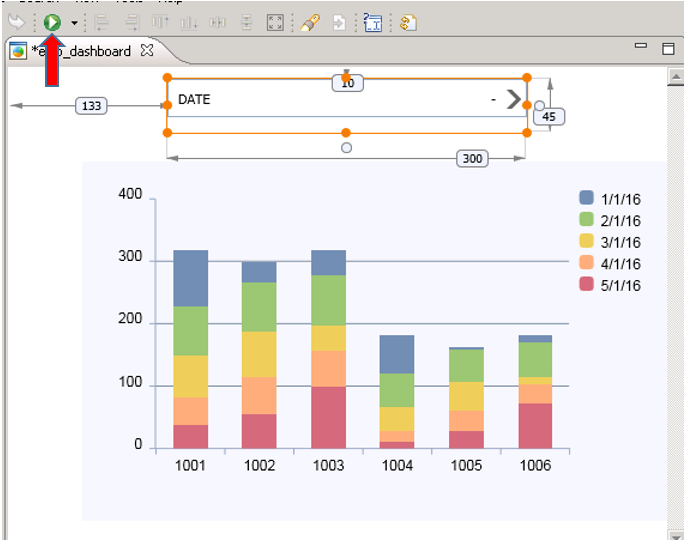 Do you have any insights on Integrated Planning(IP) using using Design Studio? Shyam — God bless you on delivering this great website to all newbies.